Ready for a back to school lunch idea? 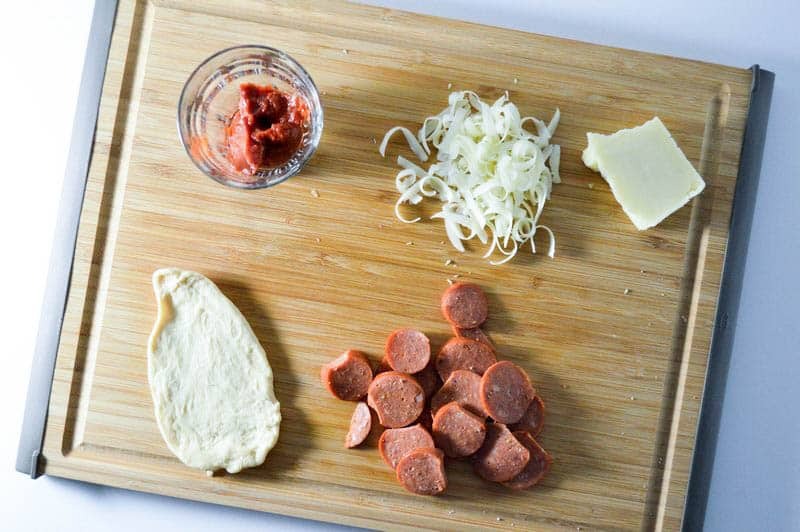 If your kids love pepperoni pizza, they’ll adore this yummy recipe! I cannot believe that there are only three weeks left for back to school! Where did the summer go? While I will be missing the lazy days around the pool, I am happy to go back to a routine! It means also getting back to planning meals ahead of time, like lunches, and thinking of after school snacks and easy dinner ideas! 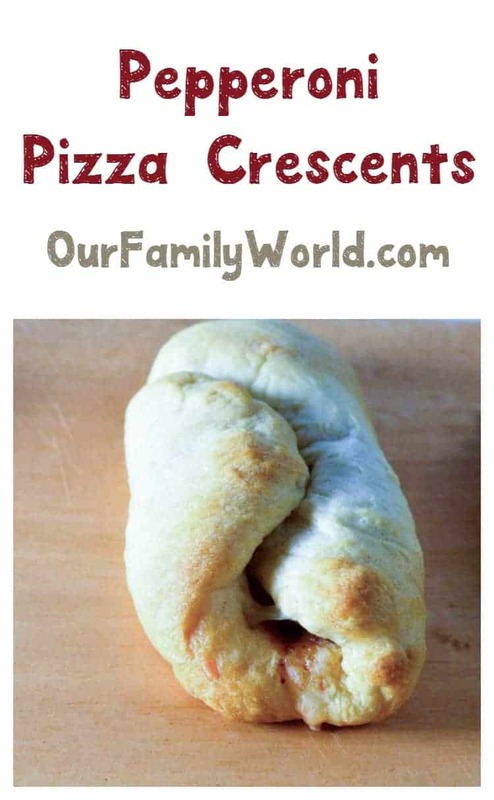 One of my favorite easy recipe ideas is this mini pepperoni pizza crescent! It is perfect for the lunch box, or even as an after school snack! When my kids get back home, they are starving! A simple yogurt does not cut it. They need a snack that gives them the right energy to do their homework and attend their extracurricular activities! So let’s see how you can make this easy recipe! Little hands can help you too. My daughter loves rolling the dough and shaping! Do you have any favorite back to school lunch ideas? Share in the comments! For the dough, you have two options. You can use a ready-made crescent dough, or you can make a pizza dough at home. It depends on the time you have on hand. Both options are good. They may taste slightly different but not too much. One can 28 oz of plum tomatoes. You can substitute with fresh ones. The taste will be better. Grated mozzarella cheese: I would say at least 1 cup. Pizza loves cheese, the more, the better. In a cup, combine water, yeast, and sugar. Let it foam. It usually takes 5 minutes to have those foaming bubbles at the top. In a large bowl. Add the flour and salt. Slowly add the liquid to the flour and mix well until you have a smooth and soft dough. Don’t worry if your hands are sticky. On a floured surface, knead your dough! I only do it for few minutes. Coat a clean bowl with some oil. Put the dough and cover it with a cloth. Let it rise for around 30 minutes or until it doubles the volume. This dough freezes well. While the dough rises, you can make your pizza sauce. In a large saucepan , heat the oil and the garlic. Add the tomatoes, salt, and pepper and let is simmer uncovered for around 20 minutes. Add the rest of the ingredients at the end. You can double the batch and freeze it. It will be handy. Heat the oven : 350F. If you are using the store bought one: roll the dough on a clean floured surface. 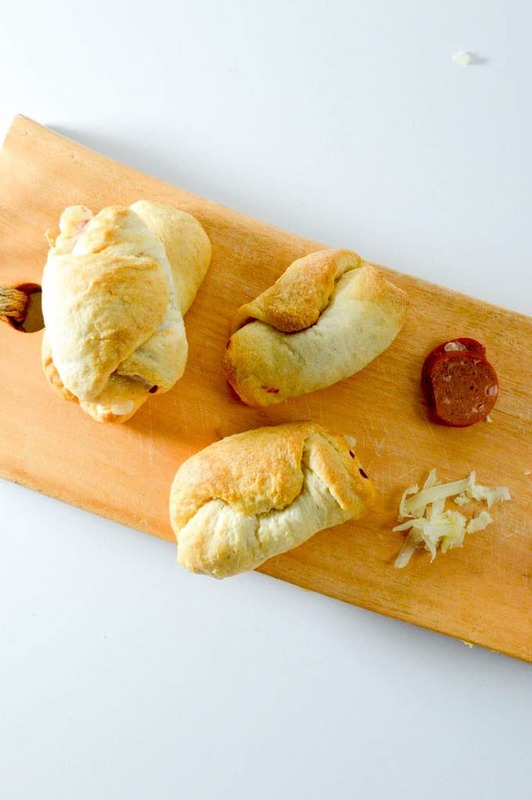 Top it with the ingredients and shape them into crescents. If you are using the homemade one, roll the dough on a clean surface and using a knife, cut it into triangles. Top with ingredients and roll them back. These best thing about this pepperoni pizza recipe: it’s not nearly as messy as regular pizza. Kids can eat it on the go between school and extracurricular activities. Plus, since each one is an individual serving, you can customize it to individual tastes. If your daughter loves extra cheese but only a little sauce and your son is crazy about sauce and pepperoni but likes to go light on the cheese, no problem! You can even add some veggies to yours if you want! For more delicious back to school lunch ideas, check out these ideas that go beyond the same old PB&J! With Halloween coming up soon, your kids will also love this cute Monster Bento! How about some easy recipes for dinner? Check out one of my favorites, our Chicken & Veggies Skewers! Thanks so much for joining us at Delicious Dishes! 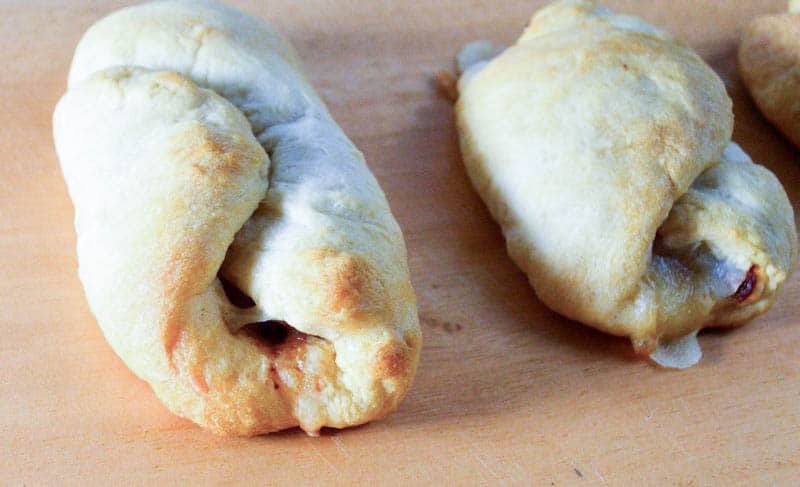 We love your Back to School Pepperoni Pizza Crescents recipe and hope you’ll join us again this week! What a good lunch ideas, I would love to try these pepperoni pizza for my family. This is a great twist on our usual homemade pizza night! I love that they are more bite sized and I know my kids would scoff these up! You made this look so easy! either that or I’m a terrible chef. I will have my kids recreate this but definitely using option #1. My kids love pepperoni pizza so much and they would be really obsessed with such little bit sized snack options. The recipe looks easy to do and I would love to give it a try sometime! These crescents are making me hungry. I love little bit sized snacks like these. They are great for parties as well. Great recipe! My son loves pepperoni pizza, can’t wait to try this! I think this would be great to serve for game day. Now that the football season is about to start, I have to make sure I have enough ideas for my boys to munch on. Thanks for the recipe! My son is all about pizza and burgers these days and it would be nice to surprise him with this when he comes home from school! I really think it’s super easy to do especially for busy moms like me! Thanks for the awesome idea! The kids are all about pizza, I mean, how can you not love ’em, right? It would be nice to make this at home for them! It’s so easy to do! Those look really good! I’ve made something similar to this. I love how you made them though. I’ll be making them! This is perfect. Love pepperoni, love crescent ideas, and I really love bite sizes! You are right about avoiding the messy parts and this surely goes with my trips! That is a great idea. Both of my boys would love these.